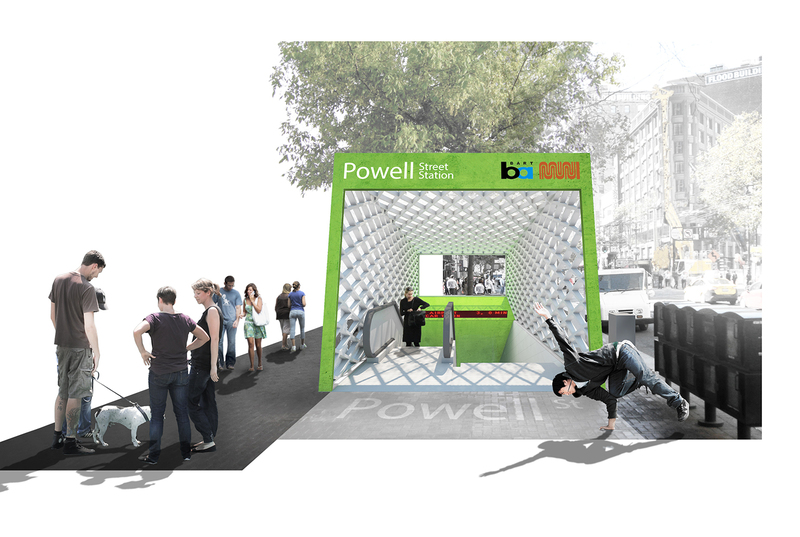 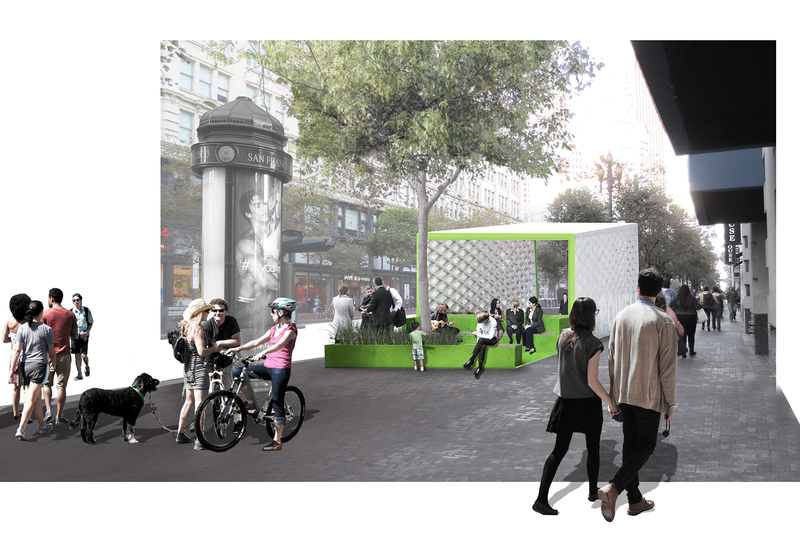 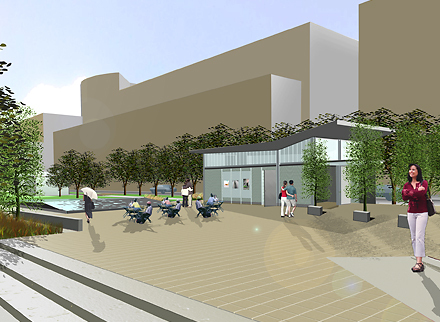 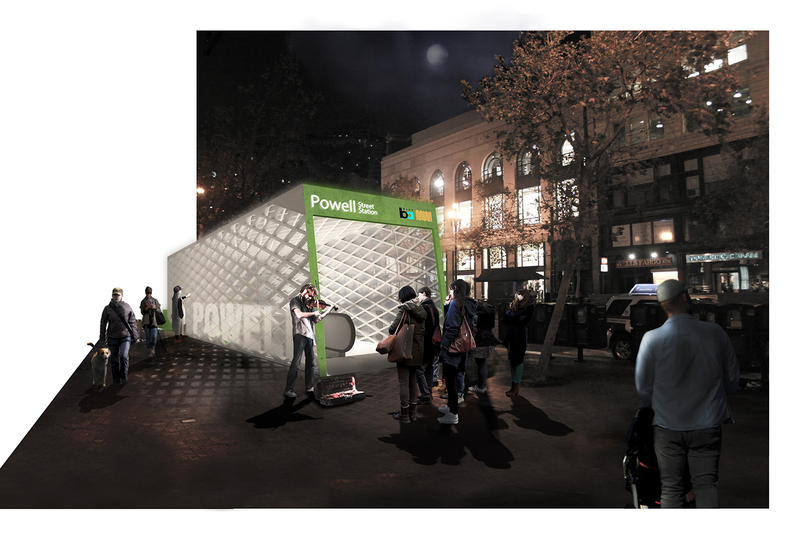 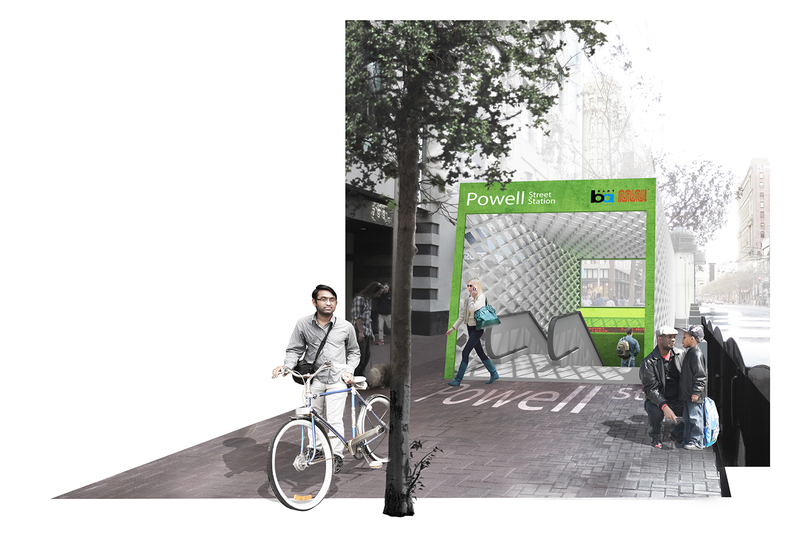 Designed to elevate the transit user and pedestrian experience along Market Street, this prototype for Bay Area Rapid Transit escalator entrance enclosures leverages the City's remarkable innovation around urban development with a proposal that provides singular and multiple experiences. 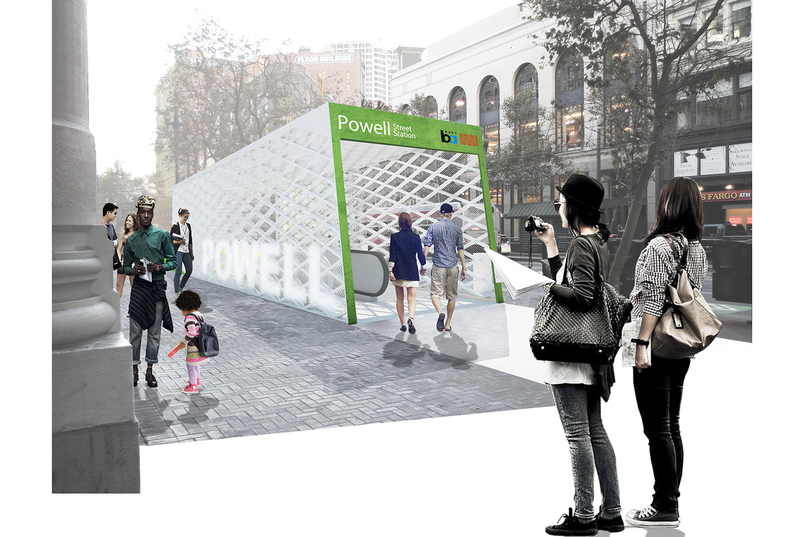 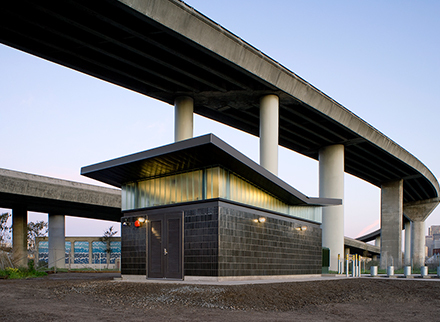 Comprising two parts, the “kit of parts” concept is both a design and a system: the head -- identifiable, repetitive, and prefabricated; and the tail -- unique to its site and intertwined with the culture and distinct community it serves. 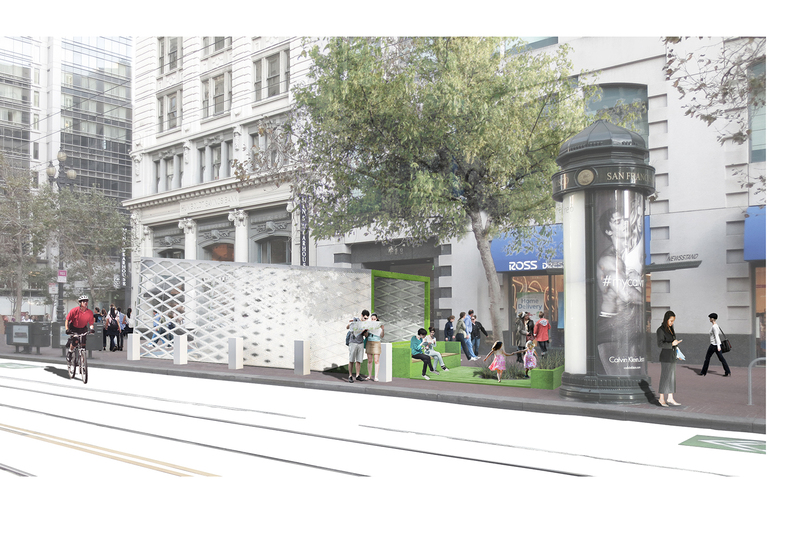 The project's modest size belied an exceptionally complex set of requirements driven by functional and maintenance considerations, code compliance and safety needs, branding, way-finding and identity goals, the City's Better Market Street Plan, sustainability, and budget considerations.